The APOS Security Manager works with SAP BusinessObjects XI 3.1 and BI 4.x. APOS Security Manager provides advanced security, limits, preference, user, and user group management capabilities that will automate and simplify many of your SAP BusinessObjects administrative tasks. APOS Security Manager helps you be proactive on security issues, but if you find your requirements growing, there is a clear upgrade path to APOS Administrator, a solution with significantly more breadth of functionality. 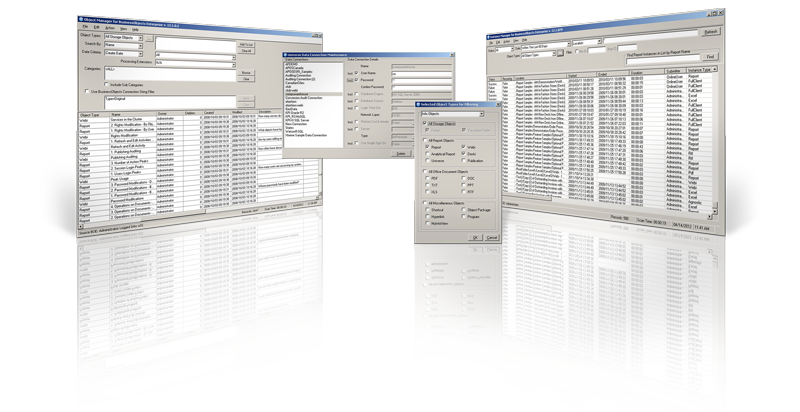 APOS Administrator includes expanded object management, instance management, schedule management, as well as structured content promotion capabilities.